Australian Foreign Minister and former Prime Minister Kevin Rudd had a minor incident with American airport staff when they tried to confiscate the Aussie's supply of Vegemite. Authorities in New York were skeptical of Australia's favorite breakfast spread. It is a dark brown paste and a byproduct of brewing beer. 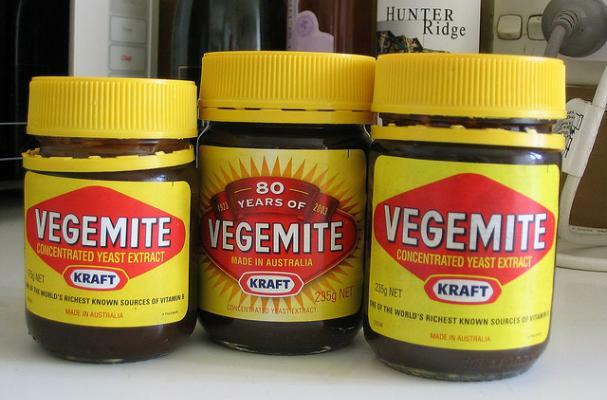 "Only problem travelling to NY is that they tried to confiscate our Vegemite at the airport. Needed Foreign Ministerial intervention," he tweeted about the incident. "Airport staff were surprised when I said it is good for you & I ate it for breakfast," he later added. They did eventually wave him through. This is the second high-profile incident involving Vegemite this year. President Obama was involved in the last one. Yum! You can buy it here in the States and you can also buy Marmite, which is the British/South African equivalent.